The Scientific Advisory Board (SAB) consists of renowned experts in the field of Cytokine research. 1 in 1984. He has published over 700 original research articles and 250 reviews and book chapters on inflammatory cytokines, particularly on Interleukin-1, the Interleukin-1 family and related cytokines. He has trained over 50 investigators, many of whom are recognized experts in their fields. The Institute for Scientific Information listed Dinarello as the world's 4th most-cited scientist during the 20 years 1983-2002 and from 1996 to 2011, he was listed as one of 400 of the world’s most influential biomedical researchers. In 1998, Dinarello was elected to the United States National Academy of Sciences and in 2010, he was made a foreign member of the Royal Netherlands Academy of Sciences. He is a member of the Board of Governors of the Weizmann Institute (Israel) and Ben Gurion University (Israel) and former Vice President of the American Society of Clinical Investigation and President of the International Cytokine Society. He has received honorary degrees from the University of Marseille (France), the Weizmann Institute (Israel), the University of Frankfurt (Germany) and Roosevelt University (USA), Albany Medical College (USA), Radboud University (Netherlands) and Trinity College (Ireland). For his contributions to the field of cytokines and medicine, he received the Squibb Award (USA), Ernst Jung Prize in Medicine (Germany), Gold Medal of the Heilmeyer Society for Internal Medicine (Germany), Chirone Prize (Italian National Academy of Medicine), Carol Nachman Prize (Germany), Sheikh Hamdan bin Rashdid al Maktoum Award (United Arab Emirates), Beering Prize (USA), Albany Prize in Medical Research (USA), Crafoord Prize of the Royal Swedish Academy of Sciences (Sweden), Paul Ehrlich Prize (Germany), Bonfils-Stanton Prize (USA), the Novartis Prize in Clinical Immunology (Switzerland) and in 2012, the Bonazinga Award (USA). In November 2013, Dinarello received the Lifetime Achievement Award of the Eicosanoid Foundation for his pioneering studies on the role of lipids in cytokine-mediated inflammation. This June, he received the Drexel Prize in Immunology. Dr. Dinarello donates the monies from awards and prizes to The Interleukin Foundation, a charitable foundation he established in 2009, which supports research on cytokines to young investigators. 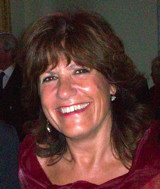 Daniela Novick, Ph.D. (Vice President). Dr. Novick received her Ph.D. in 1979 from the Weizmann Institute in Science in Rehovot, Israel. Her research has included pioneering work generating a battery of monoclonal antibodies to Type I and Type II interferons and IL-6. Her research currently focuses on cytokines and their receptors. During the past twenty years, Dr. Novick has isolated and characterized six soluble receptors. In collaboration with Dr. Dinarello and Dr. HS Kim, she isolated two unexpected binding proteins to two pro-inflammatory cytokines. She introduced the calculation of the level of a free cytokine present in body fluids. Her work has been translated into clinically useful therapies including treatment of multiple sclerosis. 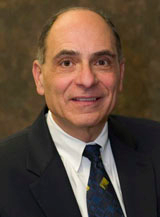 Dr. Novick has published over 90 research papers and 15 reviews and book chapters. In 2005 she was a co-recipient of the Milstein Award. Ron N. Apte, Ph.D. Dr. Apte is professor of Immunology at the Ben Gurion University of the Negev (BGU). 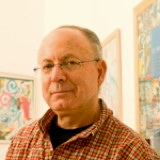 He finished his Ph.D in 1978 at Bar Ilan University and joined Ben-Gurion University in 1981. He is the incumbent of the Irving Sklar Chair in Endocrinology and Cancer at BGU. 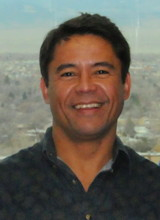 Ron Apte is currently the Head of the Division of Life Sciences and Deputy Dean at the Faculty of Health Sciences. He is head of the Shraga Segal Department of Microbiology and Immunology. Dr. Apte is well known for his work in cytokine biology with special emphasis on interelukin-1 alpha (IL-1α). He has emphasized in his studies the unique functions of IL-1α and IL-1β in steady-state homeostasis and in disease (inflammation, cancer, myocardial infarction and atherosclerosis). The group of Dr. Apte has made seminal contributions on the role of IL-1 in cancer-mediated inflammation and on the differential roles of IL-1α and IL-1β in tumorigenesis, tumor invasiveness and angiogenesis and in interactions between the tumor and the host’s immune system. Dr. Apte has served as president of The Israel Immunological Association (1994-1999), Member of the boards of the European Cytokine Society and its journal- European Cytokine Network (since 1989). Dr. Apte was also among the founders of The International Cancer Microenvironment Society and has served as a charter member of and as a member of the Editorial Board of its journal Cancer Microenvironment. In 1020, Dr. Apte was awarded the prestigious Samuel and Paula Elkeles for excellence in medial research in Israel issued by the Jewish Nation Fund. Dr. Apte published more than 80 original research papers on cytokines and is an international expert in the role of cytokines in tumorogenesis. Fabio Cominelli, M.D., Ph.D graduated from the University of Florence School of Medicine (Italy) in 1983. He completed his clinical training in Internal Medicine and Gastroenterology at the same institution under the mentorship of Professor Paolo Gentilini, one of the leading hepatologists in Italy. At the UCLA, he began studying the effects of interleukin-1 (IL-1) on the production of lipid mediators, such as prostaglandins and leukotrienes, in the intestine. He is a pioneer in basic and clinical research on the role of cytokines in intestinal inflammation and made major contributions to this important field of investigation, which has allowed advances in the treatment of patients with Inflammatory Bowel Disease (IBD). 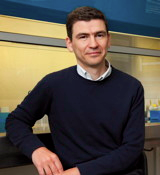 Fabio Cominelli is leader in intestinal mucosal immunology through a series of seminal discoveries, innovative approaches, and development of new paradigms. Professor Cominelli published a series of seminal papers describing for the first time, the expression, localization and effects of specific IL-1 blockade in rabbit immune complex colitis. The impact of these discoveries was highly significant since the paradigm in immunology at that time was that single cytokine blockade in chronic inflammation would fail due to the redundancy of the cytokine network. Fabio Cominelli was the recipient of the prestigious Outstanding Investigator Award from the American Federation of Clinical Research in 2002 for this important contribution. Since 2008, Dr. Cominelli is Chief of Gastroenterology and Director of the Digestive Health Institute at University Hospital Case Medical Center in Cleveland, Ohio. Thomas Mandrup-Poulsen, MD, Ph.D. Professor Mandrup-Poulsen is a physician scientist, board certified in internal medicine and endocrinology and serves as professor in Medical Research Methodology at the University of Copenhagen, research chief physician at the Hagedorn Research Institute and adjunct professor in Immuno-diabetology at the Karolinska Institutet in Stockholm. His research focuses on understanding beta-cell death leading to diabetes, and his discovery that proinflammatory cytokines cause beta-cell functional failure and destruction lead to a surge of international interest into this field and qualified him for the 1994 Oskar Minkowski prize of the European Association for the Study of Diabetes. 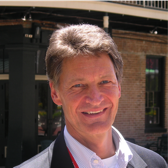 He has been leading PI or co-PI of EU and JDRF (USA) grants, three international multicenter clinical studies and had leadership roles in the data safety monitoring board/advisory boards in two international multicenter clinical studies. Professor Mandrup-Poulsen received his medical degree from the University of Copenhagen and Doctor of Medical Science from the University of Copenhagen. James W. Mier, MD, is Associate Professor of Medicine at the Harvard Medical School in the Division of Hematology‑Oncology, Beth Israel Deaconess Medical Center in Boston. Prior to his present position, Dr. Mier was Associate Professor of Medicine in the Division of Hematology‑Oncology Division, New England Medical Center and Tufts University School of Medicine. He received is MD degree from Indiana University in 1973 and clinical training at Emory University in Atlanta and was chief medical resident. From 1976 –1980, he was a Clinical Associate in the Medicine Branch and Laboratory of Tumor Cell Biology of the National Cancer Institute in Bethesda, Maryland. During that time, he worked in the laboratory of Robert Gallo and was the first to purify T-cell growth factor, later renamed interleukin-2. This study, Mier and Gallo -- Purification and Some Characteristics of Human T‑Cell Growth Factor (TCGF) from PHA‑Stimulated Lymphocyte Conditioned Media. Proc Natl Acad Sci 1980; 77: 6134, is considered a classic and fundamental to the isolation of T-cell retroviruses such as HIV‑1. He has a distinguished career in cytokines and particularly in the application of T-cell cytokines such as IL‑2 in the treatment of cancer. Dr. Mier was part of the initial trials to use Lymphocyte Activating Killer (LAK) cells in the treatment of melanoma. In addition to his clinical and research expertise, Dr. Mier is a gifted classic pianist with several recordings of the works of Beethoven, Liszt and Schumann. Anna Rubartelli, MD, Ph.D. Dr. Rubartelli received her MD with honour and Ph.D. in Clinical Hematology from the University of Genova, Italy.